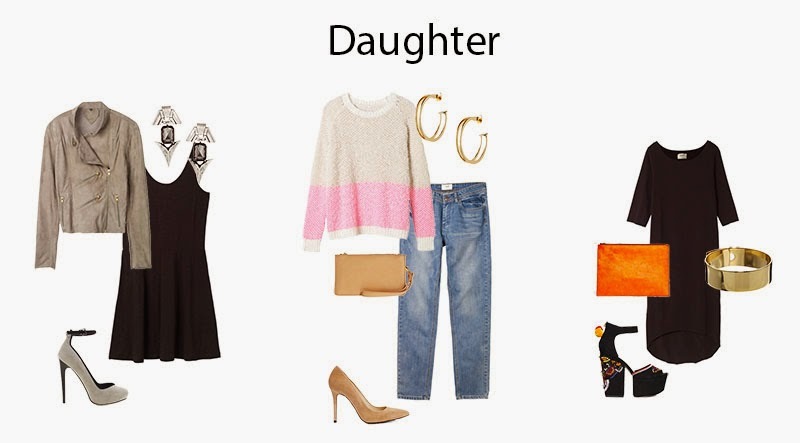 With Mother’s day just around the corner I thought I would share a few Mother and Daughter outfit’s which I think would work perfectly. Mother’s day seems like a nice excuse to go for a nice meal and dress up or even enjoy each others company shopping or for a walk in the park. 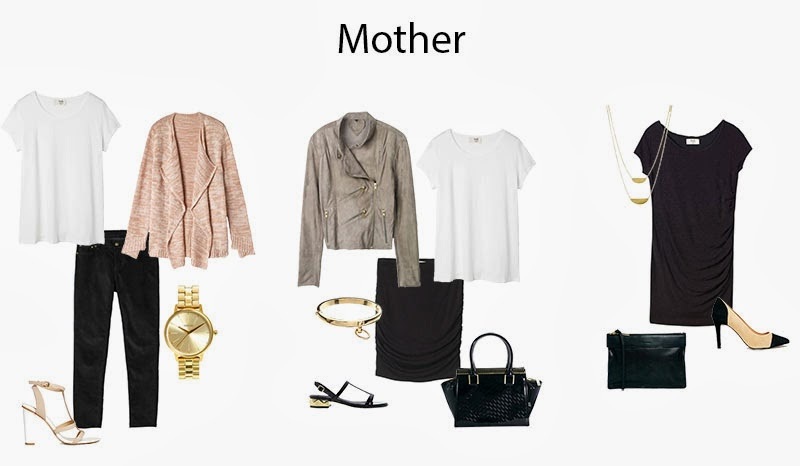 The problem is not all mother’s and daughter are the same age but hopefully this will help some of you get some nice ideas, I’d happily wear both sets of outfits. All Clothing items are from Hush and accessories are all ASOS or Topshop. For the mother I wanted to go for something still quite young and fresh. I absolutely love plain white t-shirts and think it’s a shame people seem to stop dressing them up at a certain age. I found all the clothing items on Hush Daywear Section and was surprised by how much I loved the whole range. The first outfit is quite a nice casual one if you don’t have anything too fancy planned but still want to look nice. The heels help dress up the outfit and I think a nice watch always makes and outfit look more polished. Outfit number two is teamed with a nice pair of flat sandals as I know not everyone wants to wear a skirt with heels but the structured bag means it all looks less casual. For something a little more smart this little black dress is perfect and very flattering skinning over anything you may not want seen. I also love these cute shoes to add length to legs but also to finish the outfit. I think I had far too much fun putting this together and choosing the items I liked from the website. The dress and biker jacket are some what of a spring/summer wardrobe to me. I fell in love with these jeans (check out other trousers here) and I always love a causal look teamed with a pair of heels. Looking through the Hush dress sections I found this LBD is also perfect, not too short and can be dressed up of down, I couldn’t help adding a pop of colour with the back of the shoes and the beautiful clutch. I love all of these outfits (even the ones for the mums), but my favourite would have to be the very first one for the mum and the third one for the daughter. So classy, but cool at the same time. Great post! This is such a good post Sabrina, I love ALL of the outfits but especially the first one for the mum and the first one for the daughter. Its something I could see myself and my mum wear. Overall the colour combinations of the accessories and outfits are so well matched.